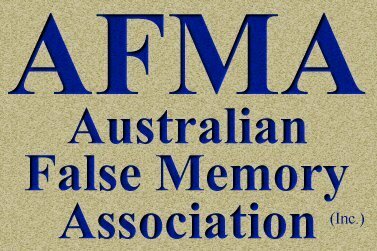 The Australian False Memory Association abhors child abuse. It is concerned about the serious individual and social effects of Recovered Memories. This includes the impact on the accusers, those who recover false memories of child abuse, and individuals and families devastated by false accusation. All are victims of memory. "How I endured a living hell in jail for a crime that I didn't commit." Message To Those Who Have Recovered Memories. Conditions of Use of This Website.